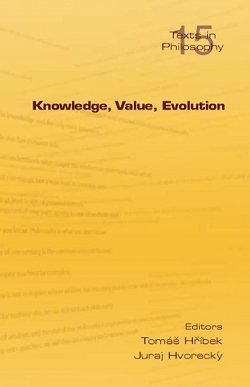 The volume presents original contributions from the 2009 Knowledge, Value, Evolution conference, held in Prague in 2009. While the conference was held during the year of Darwin's double anniversary, its aims were not historical. Rather, we brought together researchers from many different countries who work on topics at the interface of philosophy, the humanities and evolutionary biology. Chapters includeed in this volume give a very comprehensive pictgure of the work on a Darwinian-inspired epistemology, philosophy of mind, eithics, social philosophy, as well as a more empirical study of cognition and religion.